The AMD Ryzen 7 2700 is an eight-core desktop processor that can handle sixteen threads simultaneously thanks to Simultaneous Multithreading (SMT). This technology is equivalent to Intel's Hyper-Threading. 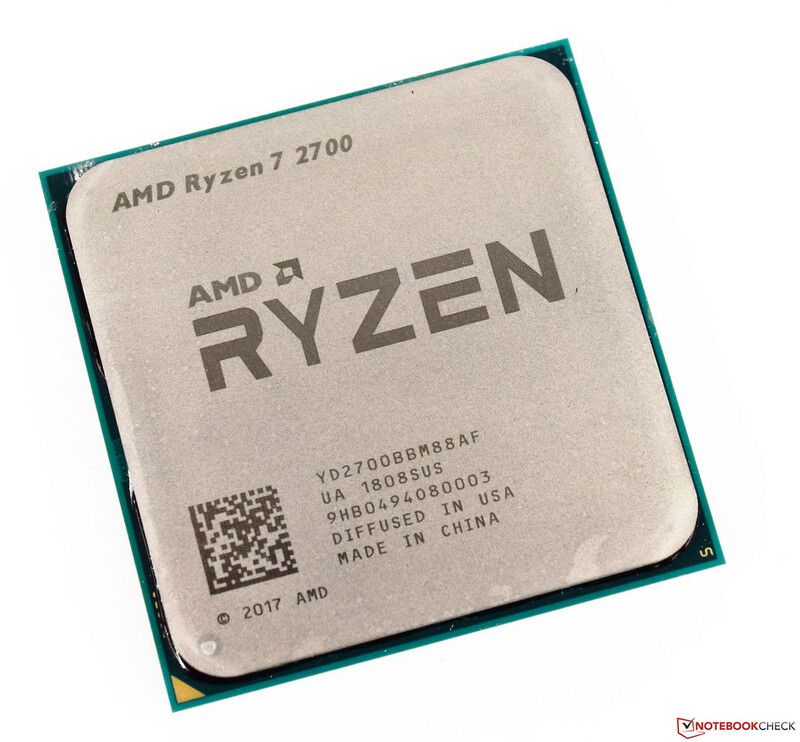 Launched in April 2018, the Ryzen 7 2700 is the second fastest Ryzen 7 processor and is much more economical than its flagship sibling. The Ryzen 7 2700 has a 65 W TDP, which is nearly 50% more efficient than the 105 W TDP Ryzen 7 2700 X. This energy efficiency comes at a cost to performance though. The Ryzen 7 2700 has a base clock speed of 3.2 GHz, which can be boosted by Extended Frequency Range (XFR) up to 4.1 GHz. The power gain is still high in multi-threaded applications, although this is some way off the Ryzen 7 2700X. The Ryzen 7 2700 benefits from AMD's new Zen+ architecture, with a greater number of instructions per cycle (IPC) and higher clock speeds than last year's Zen chips. The Ryzen 7 2700's eight cores are divided into two clusters that are connected by Infinity Fabric, a subset of HyperTransport. Each cluster has its own L3 cache. The Ryzen 7 2700 has good performance in games. However, if it is operating at a lower base clock because of low TDP, then the Ryzen 7 2700 falls behind the Ryzen 5 2600 in gaming benchmarks. This behaviour could be because many games currently lack multi-core support. Hence, games rely more on clock speed more than core count. Detailed information, benchmarks and values can be found in our review of the Ryzen 7 2700.